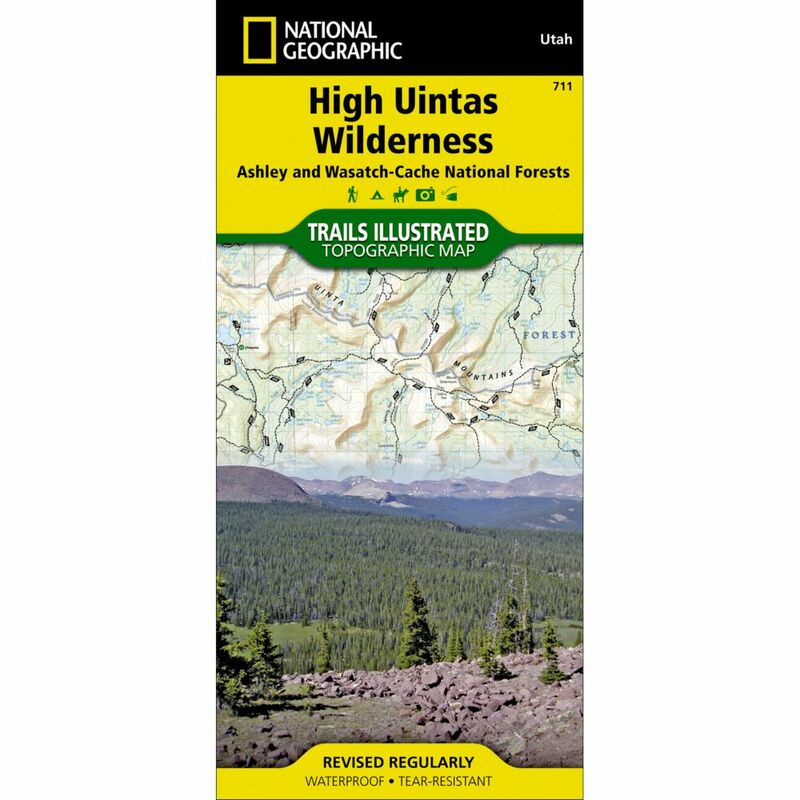 This National Geographic -Trails Illustrated™ topographic map is the most comprehensive and complete recreational map for Utah's High Uintas Wilderness area. The map shows all trails, campsites, and recreational features, plus valuable wilderness and Leave No Trace guidelines. Coverage includes Wasatch-Cache National Forest; the entire High Uintas Wilderness and surrounding backcountry; Hoop, Brown, Moon, Crystal, Little Lyman and Atwood lakes; Paradise Park, Cedar View, Upper Stillwater and Whitney reservoirs; Red Knob, Squaw, Smith Fork, Anderson, and Thompson passes. Measures 4" x 9" folded and 28" x 32" fully opened. Scale = 1:75,000.